Contactează info@saveorcancel.tv pentru înscrieri și mai multe detalii. Acest atelier pilot poate găzdui doar 10 copii, având ca scop încurajarea exprimării individuale și facilitarea dialogului. We explore art as a means of urban regeneration. We invite children aged 8-15 to take part in a drawing and screen-printing workshop free of charge, designed to stimulate interest in heritage and participation in the city’s life. All welcome regardless of artistic ability as the team will teach you all you need to know to help you to create your own pieces of street art. The materials, which include markers, stickers, paper, textile paints, gloves etc. are supplied for free and you can screen-print your artwork onto a canvas bag or a t-shirt to take home with you! We’ll learn how to colour Bucharest, seeing the city as a collective canvas and start using art as a way to signal our favourite monuments. Contact info@saveorcancel.tv for registration and more details. This pilot workshop can accommodate only 10 children, aiming to encourage individual expression and facilitate dialogue. This cultural project is co-financed under the Bucharest Cultural Program Participatory City by the Bucharest City Hall through the ARCUB Cultural Center of Bucharest. 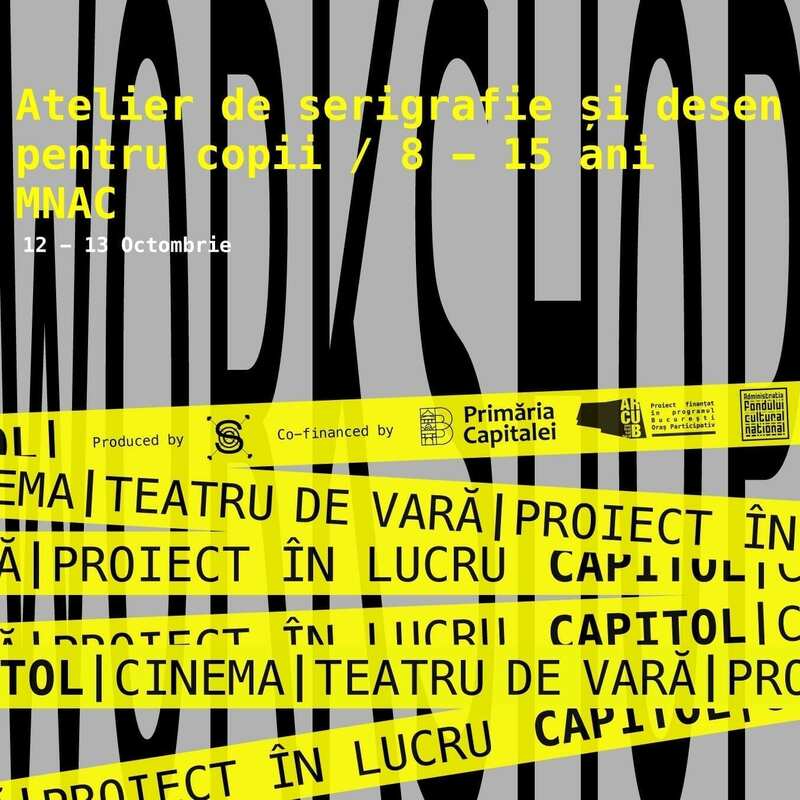 This project is organized by Save or Cancel via feeder.ro and is part of the multi-annual cultural program “hub cultural Cinema / summer theater CAPITOL”, co-funded by AFCN. The program does not necessarily represent the position of the National Cultural Fund Administration. AFCN is not responsible for the content of the program or the way the program results can be used. These are entirely the responsibility of the beneficiary of the funding.